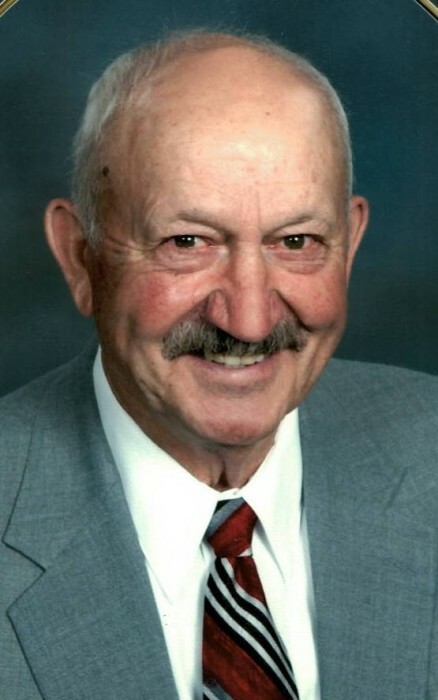 John “Jack” Albert Nuwash, age 87, of Silver Lake, Minnesota passed away on Monday, September 4, 2017 at Harmony River Living Center in Hutchinson. He was born on February 24, 1930 in Cokato the son of Henry & Florence (Harkman) Nuwash. Jack was baptized and confirmed at The Czech Brethren Presbyterian Church in Silver Lake. He graduated from Silver Lake High School in 1948 and enjoyed participating in basketball, football and other activities. Jack then attended The School of Agriculture at The University of Minnesota for two years. Jack honorably served his Country for two years in The United States Army in Panama during the Korean War. On August 13, 1956, Jack Nuwash and Carol A. Grochow were joined in holy marriage at The Little Brown Church in Nashua, Iowa. God blessed their marriage with three children. Jack farmed for many years and also worked at Natrogas in Silver Lake for thirty-five years. He was a faithful member of Faith Presbyterian Church in Silver Lake. Jack belonged to Legion Post #141 in Silver Lake, Silver Lake Sportsman’s Club and the McLeod County Historical Society. He formerly served on Silver Lake School Board and The Creamery Board. He enjoyed fishing, hunting, golfing, camping, gardening and raising flowers and fruit trees. There are currently 19 varieties of apples on his home farm. He and Carol were fond of spending their winters in Edinburg,Texas for twenty years, where they have many special friends. A friend from Texas said, "Jack had that rare combination of heart, humor and intelligence. I believe that he is walking with God now through the most amazing gardens and orchards." Left to cherish his memory is his loving wife of sixty-one years: Carol A. Nuwash; three children: Kathryn (Greg) Palmquist of Grantsburg, Wisconsin, Robert (Joy) Nunvar of Silver Lake and Bruce (Rebecca) Nuwash of Hemphill, Texas; nine grandchildren: Anne, Carl and Claire Palmquist; Ivy, Lily and Anton Nunvar; Courtney Duin (Travis), Brittany (Rory) Engels and Hillary (Aaron) Cooper; one great grandchild Talia Engels; a sister: Geraldine Dobis of Hibbing; other relatives and many friends. Funeral services for Jack Nuwash will be held on Saturday, September 9th at 11:00 A.M. at Faith Presbyterian Church in Silver Lake. Pastor Carol Chmielewski will officiate. Organist for the service will be Barb Wawrzyniak. Interment will be at Bohemian National Cemetery with military honors. A visitation will be held on Friday, September 8th from 4-8 P.M. at the Maresh Funeral Home in Silver Lake. Further visitation will be held on Saturday, September 9th one hour prior to services at the church. Honorary Urn Bearers will be Carl Palmquist and Anton Nunvar.